Aldo Furlan 1 week ago. As I already told that LineageOS 16 for Galaxy S3 was on the way, but today here it is. This build of LineageOS 16 for Galaxy S3 is brought to you by developer ChronoMonochrome (chrono). 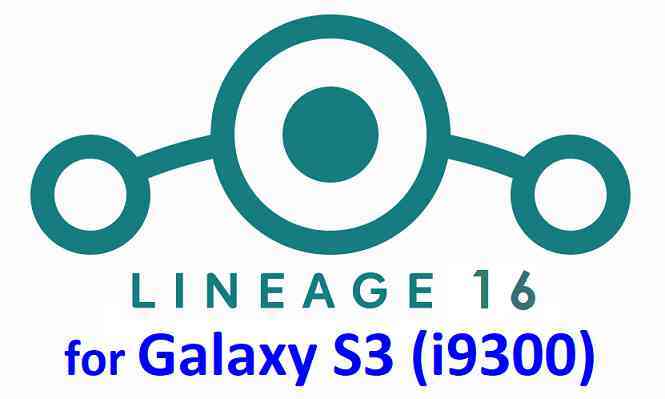 Searching where to download LineageOS 16 for Galaxy S3? Wondering how to install LineageOS 16 on Galaxy S3? If you have one of the question for your Galaxy S3, then you are at the right place and here is where to download and how to install LineageOS 16 on Galaxy S3, with a step-by-step guide. THIS IS AN INITIAL BUILD OF Galaxy S3 LineageOS 16 WHICH MAY HAVE MINOR BUGS. Installing a TWRP recovery on Galaxy S3 may delete all your data. Before proceeding further you may consider backup all data on the phone. Download and Copy the LineageOS 16 Gapps and the Galaxy S3 LineageOS 16 ROM ZIP file to your phone. Boot into the TWRP custom Recovery to install this LineageOS 16 for Galaxy S3. Install the Galaxy S3 LineageOS 16 ROM file that you have copied into the phone. Reboot and Enjoy the Galaxy S3 LineageOS 16 Android 9 Pie ROM. Install the LineageOS 16 ROM for Galaxy S3. If you don’t have GApps after upgrading the LineageOS 16 on Galaxy S3, then flash the GApps. If you don’t have ROOT after upgrading the LineageOS 16 on Galaxy S3, then flash the SuperSU or Magisk or the Lineage SU binary. Once everything is done, reboot and Enjoy the LineageOS 16 for Galaxy S3. Complete the initial setup and enjoy Android 9 Pie with LineageOS 16 on Galaxy S3. Stay tuned or Subscribe to the Galaxy S3 (i9300) LineageOS forum For other Android Pie, Android Oreo ROMs, Nougat ROMs, or other ROMs and all other device specific topics. <pre id=”tw-target-text” class=”tw-data-text tw-ta tw-text-small” dir=”ltr” data-placeholder=”Traduzione” data-fulltext=””><span lang=”en” tabindex=”0″>Hi SIBA & CHRONO thanks to developing LineageOS for s3. I tested version 15.1 and it worked great except for the useless PLAY STORE (I had to use UPTODOWN). When I read your post I immediately tried 16.0. “THE BLUETOOTH APP CONTINUES TO BE DISCONTINUED”. The app cannot be closed. I try the LineageOS on s3 (purchased in 2013) just for fun. Waiting for your reply, I send you my best regards. After some <b><i>thinking</i></b> I got the message <b><i>disappear</i></b>. All it seems to go fine except for rooting and getting the setup menu voice “developper options” .